Hey guys, so today is February 14th and it is Valentines day. I have noticed that there different point of views of the Valentines day. One being the people who are so excited about it. They have been prepping for weeks and this is a day the love and look forward to. I have a friend who has been making her boyfriend little crafts and gifts for the last two months. The second point of view is people who are neutral about Valentines day. These are people like myself, they do not really get into the whole Valentines day thing but they don't hate it. They may go to dinner or buy their significant other a little something special or they may not. The third point of view is the people who are anti-Valentines day. These people are the people who HATE Valentine's day. No matter what side of the line you stand on there is still a certain pressure to make sure you have a Valintine and to go all out for this one day of the year. Sometimes this pressure can leave a person feeling pretty down on themselves if they do to have a person to spend the day with. 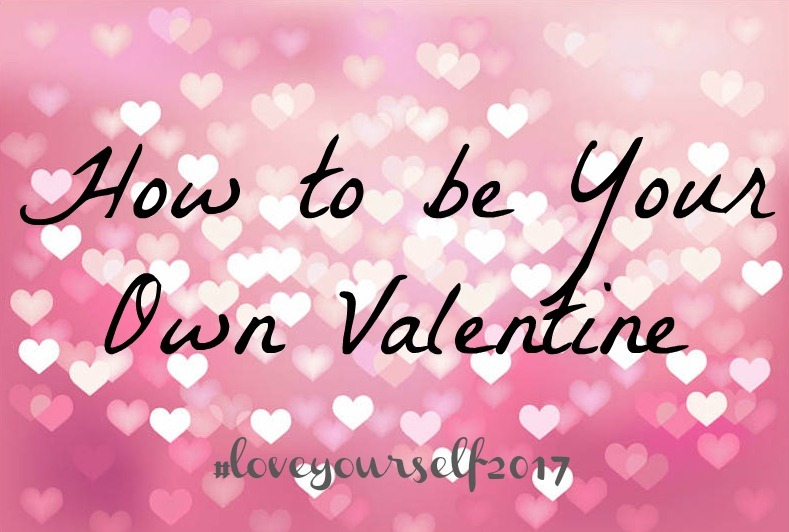 As part of our #loveyourself2017 movement we wanted to take advantage of this day to talk about ways to be your own Valentine. At the end of the day, the most important thing really is that you love yourself. 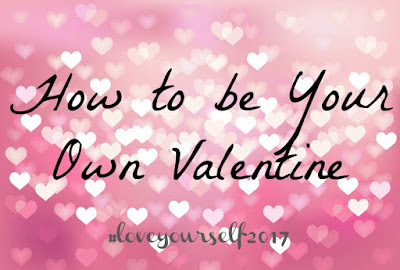 Here are a few things YOU can do to love yourself not only on Valentines day but every day! Go out to lunch with yourself. You could take a book or people watch. My favorite places to eat alone are at restaurants in busy locations with an outside eating area. Use this time to clear your head, take a deep breath and smell the flowers. 2. Treat yourself to a shopping trip. One of my favorite things to do is go to thrift shops. Not only is this a great way to get yourself a little something, it si also better for the environment to shop used then it is to buy new. 3. Dress up for yourself. There is something nice about putting a little bit more effort into getting ready. When you are getting ready, put on something that makes you feel beautiful. This may very from person to person. Some people may feel best all glammed up others may feel best going all natural. Find what works for you and then work it! Ultimately the most important thing is to spend time with yourself and show yourself love. It doesn't have to be one of these things, but spend some time today loving yourself!